It’s another Great Monday and it’s the last Monday of March. Can you believe it’s April next week! That’s so crazy. Everything is moving way to fast. Anyway today I would love to showcase this amazingly cute kit from Wimpychompers Creations called My first Pet. It has such an adorable cute elements and varieties of alphas. 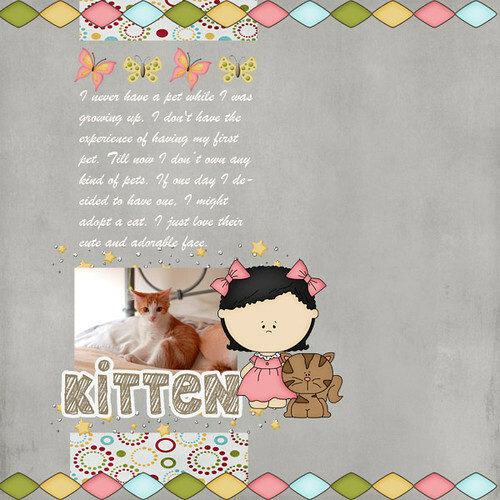 These are a few layouts from W3 Girls to inspire you.